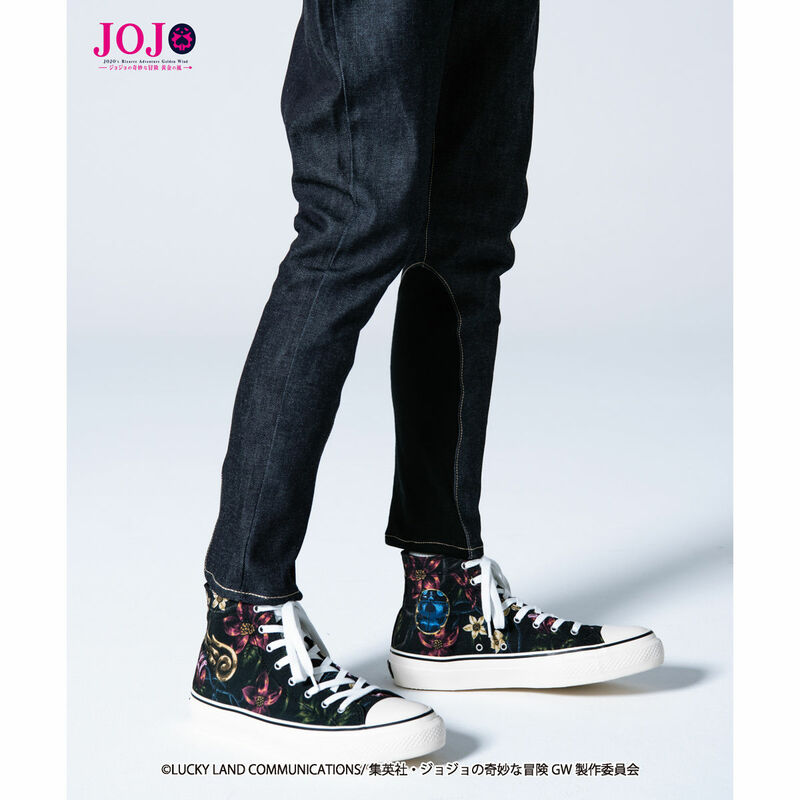 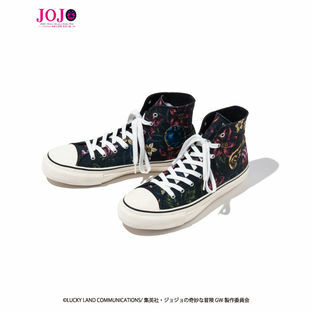 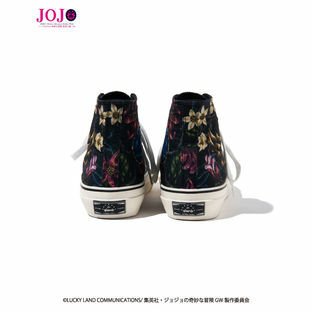 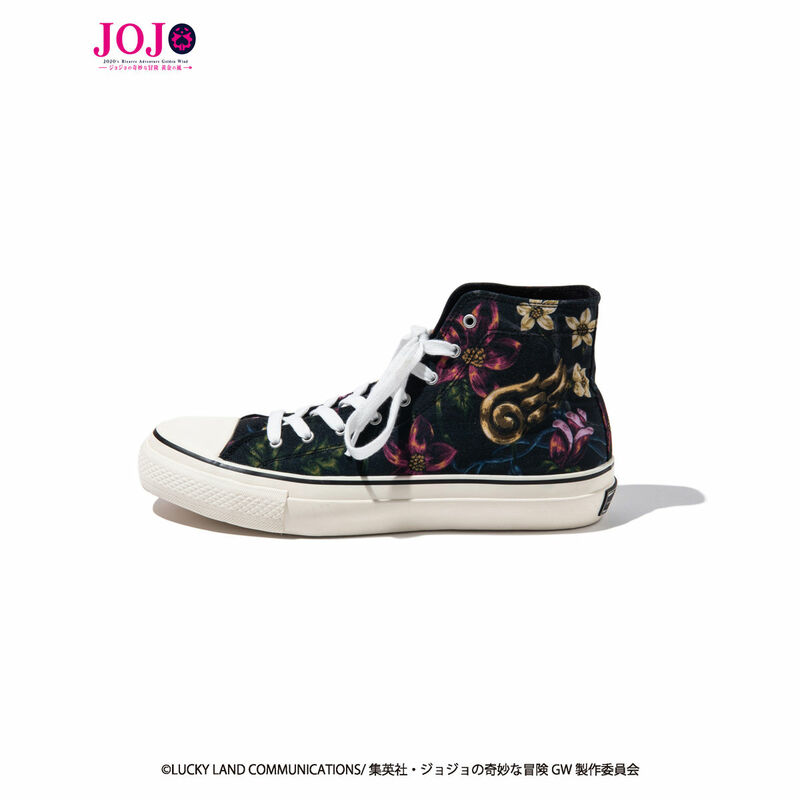 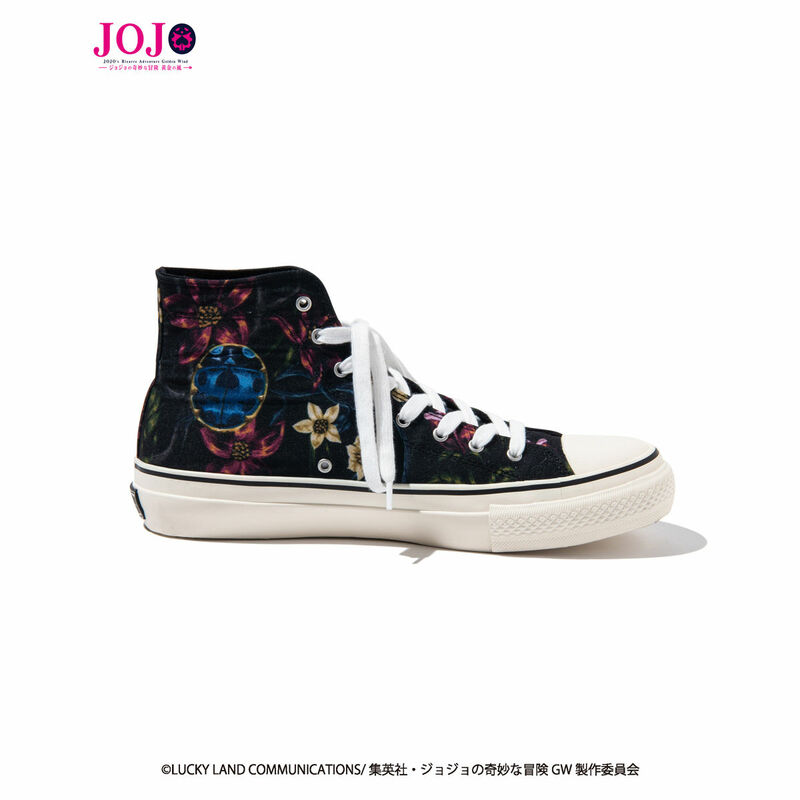 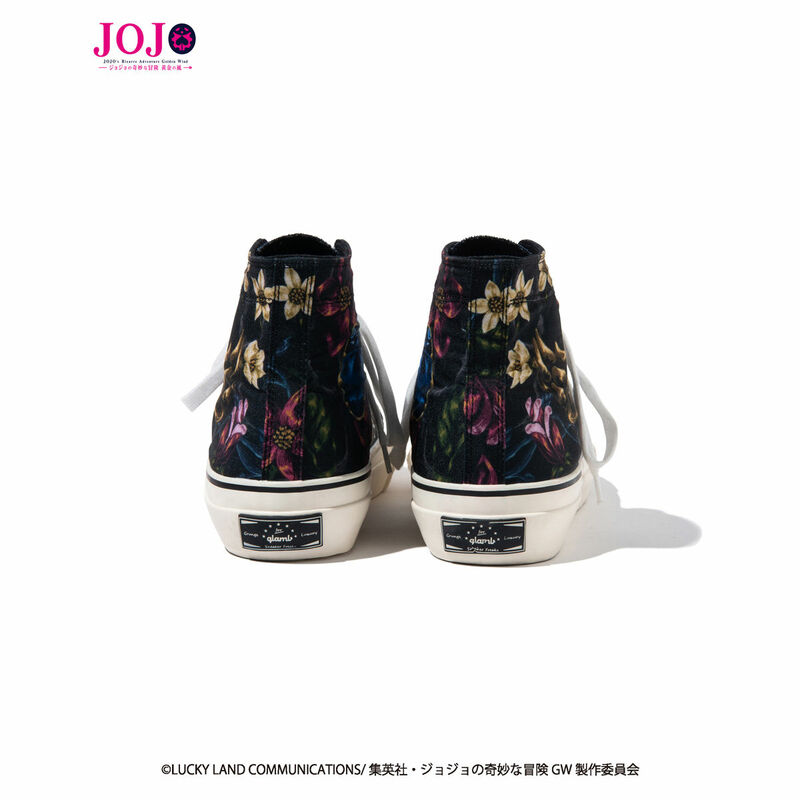 The collaboration sneakers made by the team up between JoJo’s Bizarre Adventures: Golden Wind and glamb! Size options include 7 sizes. 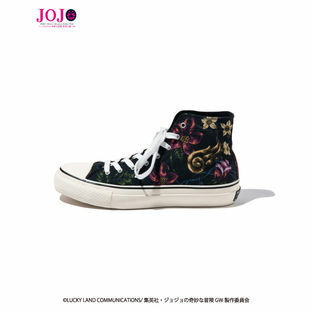 An authentic 8 eyelet, high-top sneaker, adorned with the motifs of the Stand, Golden Wind. The body features a base design that combines decorative flower patterns with the art style of Art Nouveau and vintage Hawaiian shirt patterns, symbolizing the characteristics of elegance and robustness. 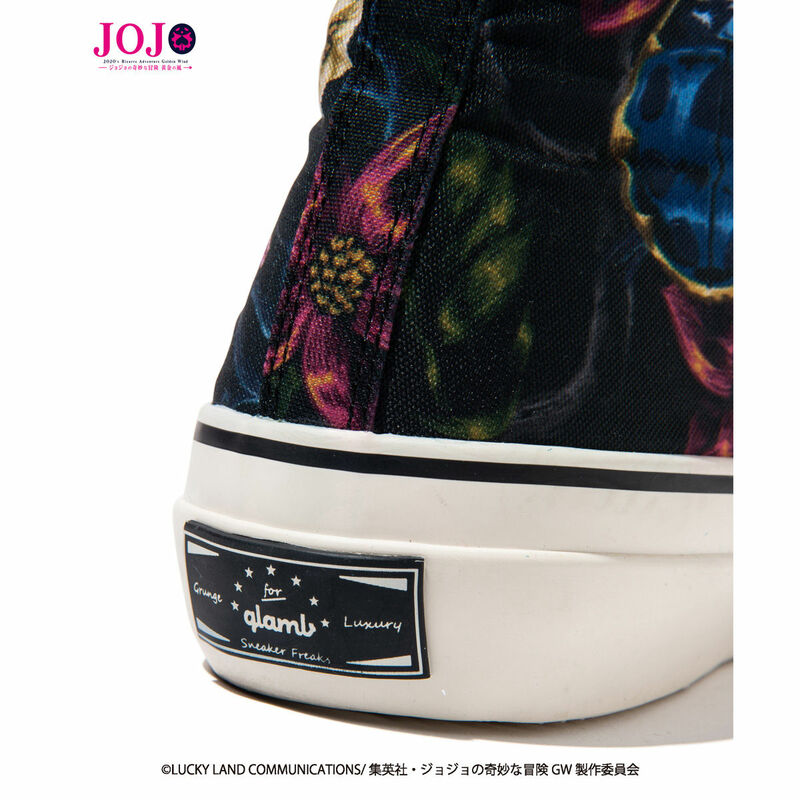 The original laces are employed to polish and keep the sneaker sharp, while the older vulcanized rubber is used to help with sole adhesion. 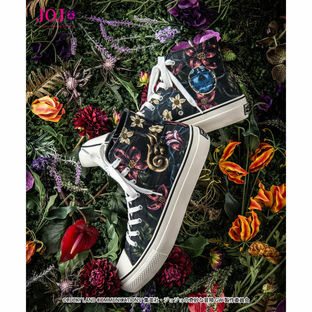 Thanks to the meticulous skills of the artisans who worked on this sneaker, this product is designed to prevent the user from feeling fatigue even after long periods of activity.